Python Language, created by Guido Van Rossum in 1989, is one of the high-level programming languages as of this era. First release of python Language in 1991. It has very simple easy-to-use syntax, creating it the proper language for someone trying to learn computer programming for the first time. For those of you aware of Java or C++, Python can break the myth you have got designed for a typical programing language. 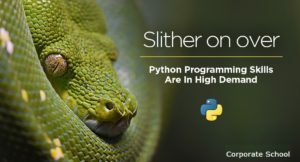 Why Learn Python Programming Language? Python is a high-level programming language. It is very simple to learn and provides powerful typing. Python code has a very ‘natural’ style to it, in that it is easy to read and understand (thanks to the Python programming Language lack of semicolons and braces). 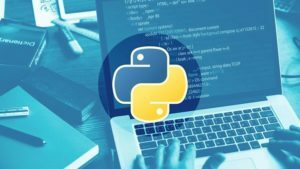 The Python programming language works on any platform, from Windows to Linux to Macintosh, Solaris, and so on. The following Features of Python Programming Language. Wait! Python can do more. Let us now move on to installing Python on a Windows systems. 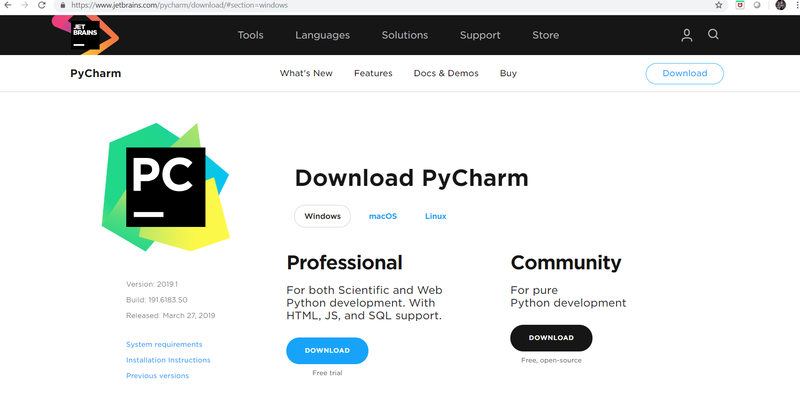 Go to the link:https://www.python.org/downloads/ and install the latest version on your machines. All data values in Python are represented by objects and each object or value has a datatype. There are eight native datatypes in Python Programing Language. The following image will give a description for the same. Flow Control helps us to understand the execution flow of our program. Let us take a Real–world example to understand this transformation. For this you need to control the execution of your Python program statements using Flow Controls. The Python compound statement ’if’ lets you conditionally execute blocks of statements. 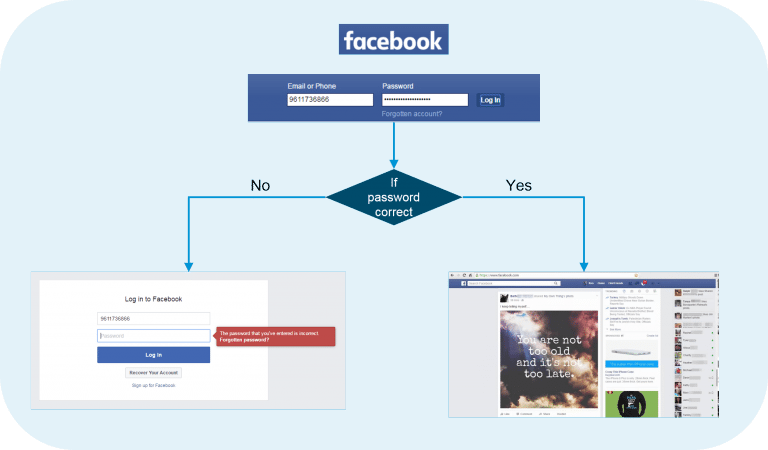 The above image explains the use of ‘if’ statement using an example of Facebook ID login. 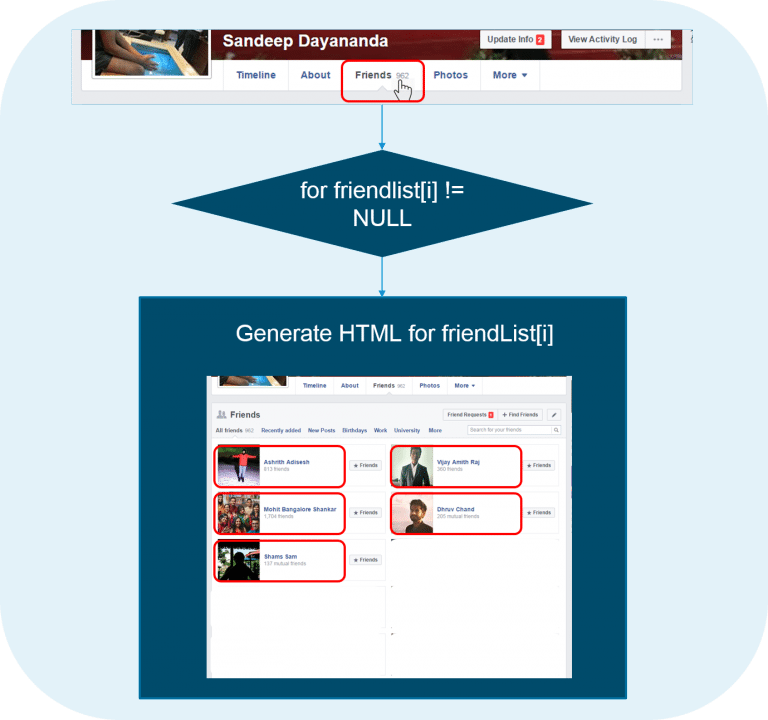 1.Facebook login page will direct you to two pages based on whether your username and password is a match to your Facebook account. 2.If the Facebook password entered is wrong, it will direct you to the page on the left. 3.If the Facebook password entered is correct, you will be directed to your homepage. Let us now look at how Facebook would use the If statement. The for statement supports repeated execution of a statement or block of statements that is controlled by an integrable expression. The ‘for’ statement can be understood from the above example. The while statement in Python programming Language supports repeated execution of a statement or block of statements that is controlled by a conditional expression. 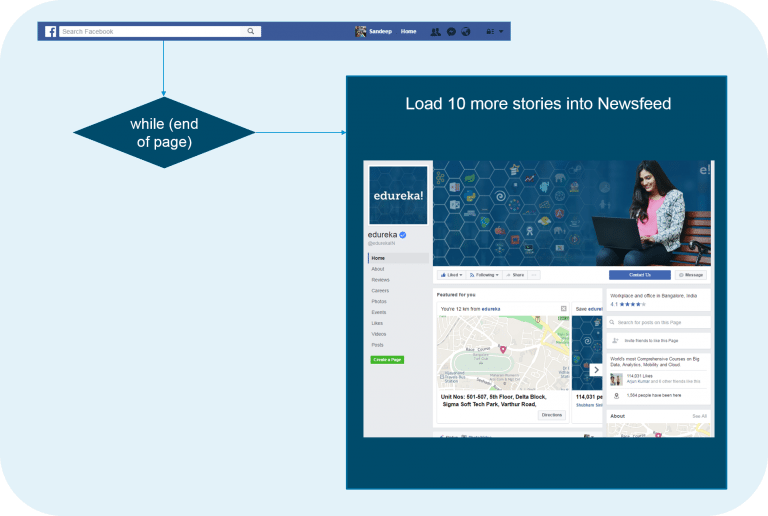 We will use the above Facebook Newsfeed to understand the use of while loop. Let us now look at a sample program in Python to demonstrate the While statement. The break statement is allowed only inside a loop body. When break executes, the loop terminates. If a loop is nested inside other loops, break terminates only the innermost nested loop. The ‘break’ flow control statement can be understanding from the above example. 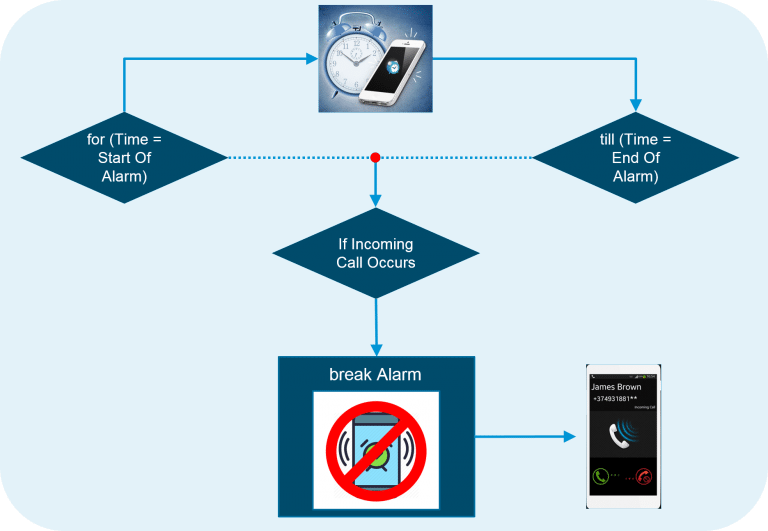 Let us consider the case of an alarm on a mobile ringing at a time. Suppose the phone gets an incoming call in that time the alarm is ringing; the alarm is stopped immediately, and the phone ringer starts ringing. This is how break essentially works. to demonstrate the Break statement. This program prints all the letters in a given string. It breaks whenever it encounters a ‘.’ or a full stop. We have done this by using Break statement. The output is as below. The continue statement is allowed only inside a loop body. When continue executes, the current iteration of the loop body terminates, and execution continues with the next iteration of the loop. 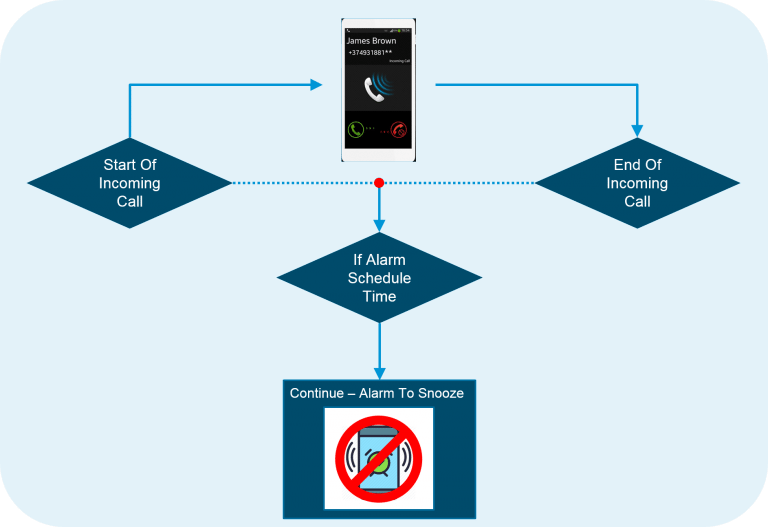 Example: The Continue statement can be understand using incoming call and an alarm. Once the call event is noted and the phone continues the alarm to ring at the next snooze period. 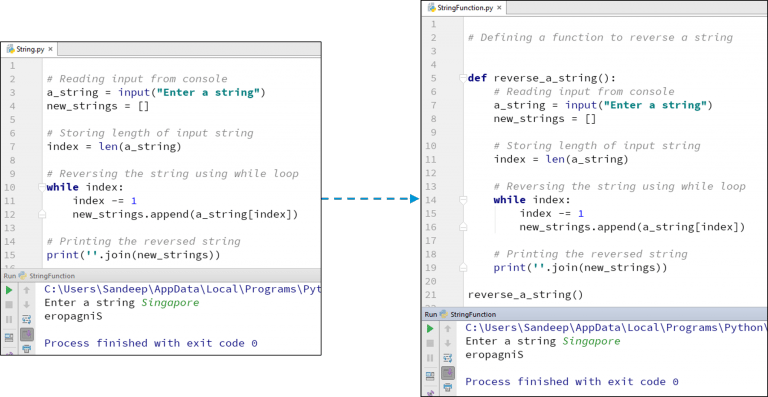 Let us now look at a sample program in Python Program to demonstrate the Continue statement. This program prints all the numbers except the multiples of 5 from 10 to 20. The output is as follows. The pass statement, which performs no action, can be used as a placeholder when a statement is syntactically required but you have nothing specific to do. Now let us look at a sample program in Python program to demonstrate the Pass statement. This program prints the multiples of 5 with a separate sentence. The output is as follows. Functions in Python programming Language is a group of related statements that performs a specific task. Functions make our programs more organized and help in code re-usability. We have thus shown the power of using functions in Python Programing Language. So this concludes our Python Programming blog. I hope you enjoyed reading this blog and found it informative. 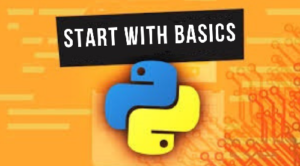 By now, you must have acquired a sound understanding of what Python Programming Language is. Now go ahead and practice all the examples. 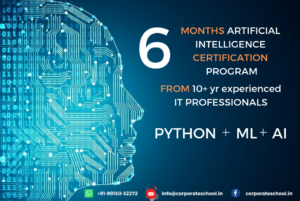 To get in-depth knowledge on Python Programming language along with its various applications, you can enroll here for training Today. REGISTER NOW TO GAIN THE OPPORTUNITY !